Digital and print resources to help students transition to new standards and online assessments. Whether your classrooms are digital, blended or print-based, Evan-Moor's school-wide solutions help students practice standards-based skills to prepare for assessments. Whether your classrooms are all digital, blended or print-based, Evan-Moor school-wide solutions help students practice standards-based skills to prepare for assessments. Get students prepared for online assessments with 10- to 15-minute daily lessons that support the content and format found in PARCC and SBAC assessments. Help improve students' understanding and prepare students for online assessments. 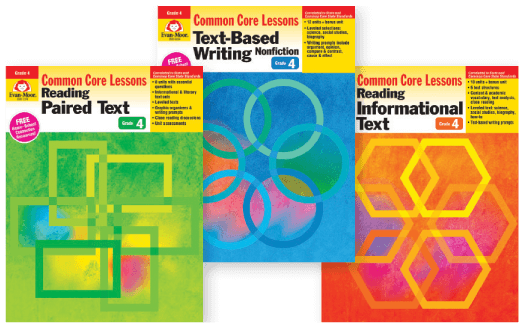 Each courseware series supports the core curriculum while providing coherence across grade levels. 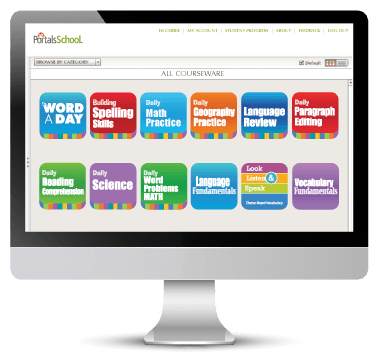 Interactive features include: self-correcting lessons, highlighting tools, drag and drop tasks, and audio support. 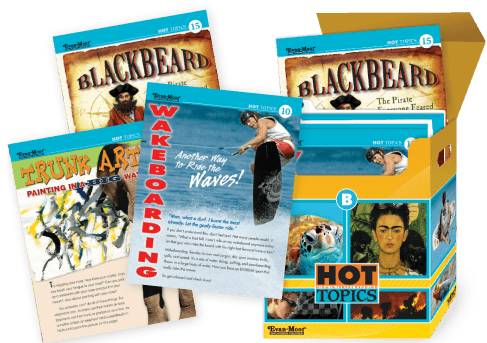 Utilize TeacherFileBox, Evan-Moor’s supplemental lesson library of over 16,000 lessons (and growing), as a go-to resource to differentiate instruction and address each student’s learning needs. Evan-Moor’s intervention solutions are easily integrated for small-group instruction. Each resource includes explicit instruction and formative assessments to track student progress and level of understanding. Provide targeted skills practice with research-based materials that are aligned to standards. Supplemental resources completely support the core curriculum, offering practice of language conventions, reading, writing, handwriting, spelling, and phonics.